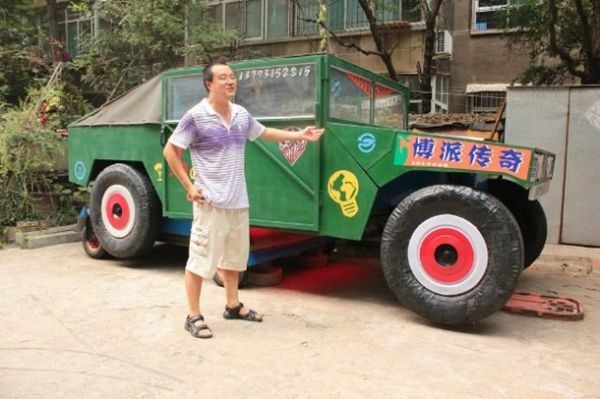 A man from Jinan, China has created his own unique version of a Transformer robot, and it is something we have never seen before. 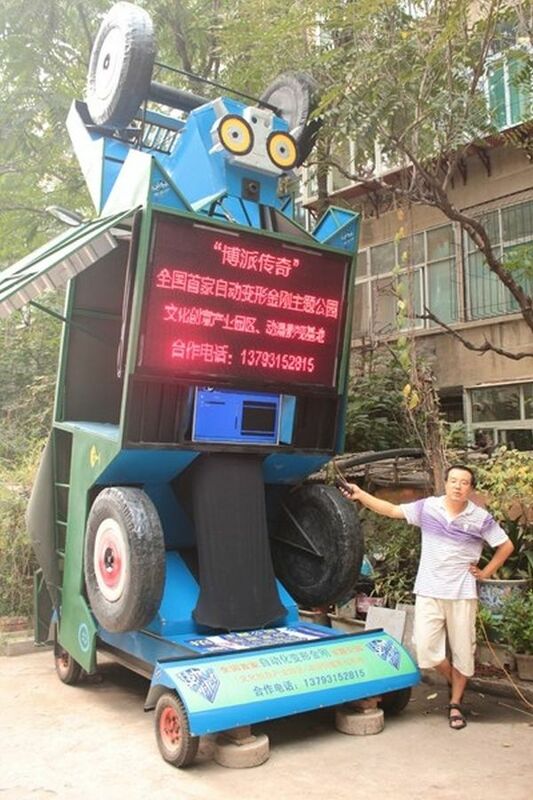 This Life Sized Transformer robot transforms into a functional car just by pressing a button. After watching the first Transformers movie 4 years ago, the guy decided to make his own transformer robot and after spending US$11,000 and six months of work led to the completion of this life sized robot. 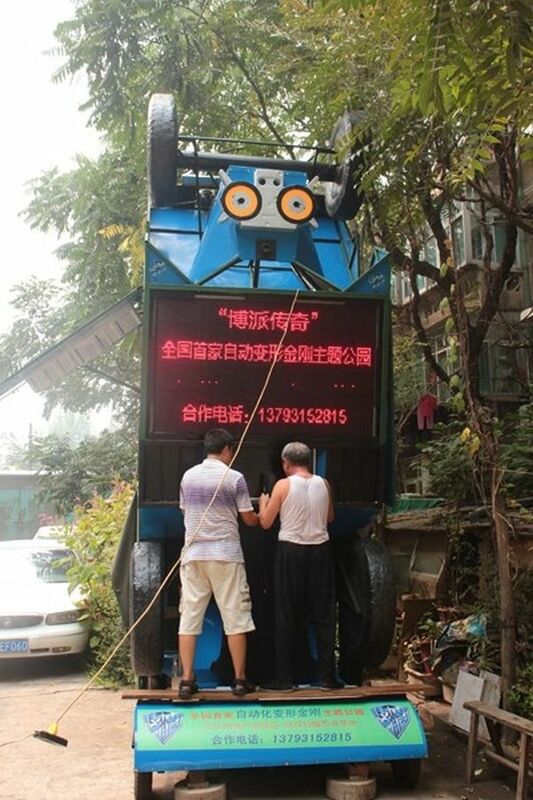 The robot is 4.8m tall and 2m wide and according to the guy, it can walk too. The car is also drivable and can reach a top speed of 15km/h. We can say the guy has done a pretty good job as he himself does not have any mechanical or electronics experience; still he solely managed to create the robot in just six months and that too by working in his off hours only. The man will keep doing improvements to his robot and hopes to make a Transformers theme park someday.